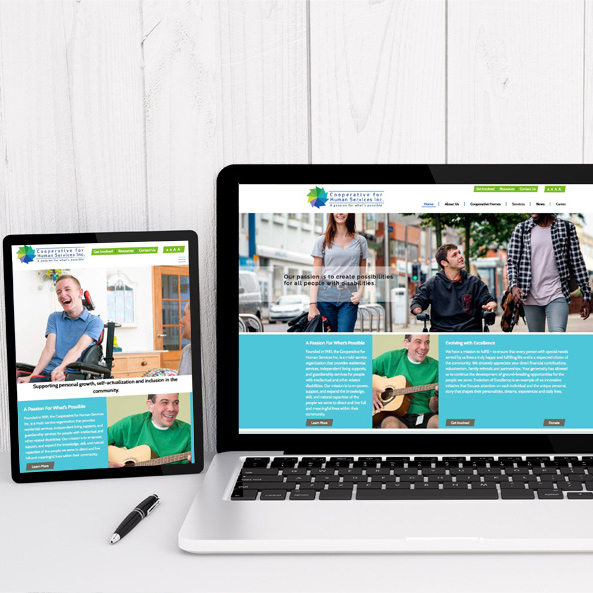 It’s a joy working with people who are passionate about what they do, because we are passionate about what we do! 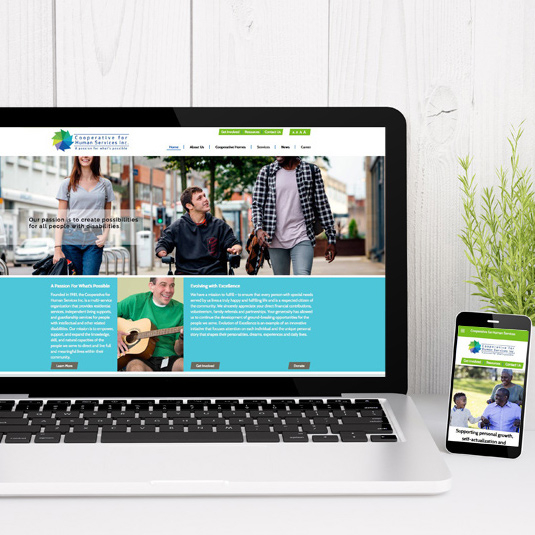 Cooperative for Human Services, Inc. came to us for a responsive website that demonstrated their dedication and compassion to the people they serve every day. 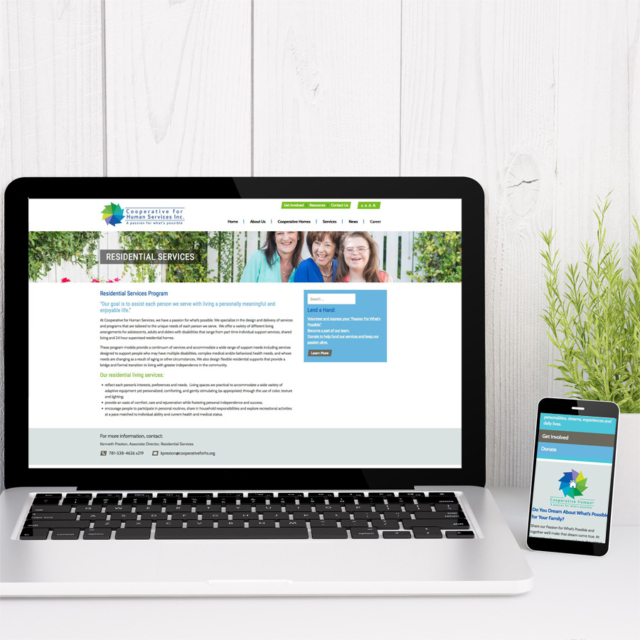 We used their branded colors from their logo to create a bright and cohesive design that looks great on every device.